While commencement of a business and type of the same, the owners first take into consideration a range of factors including, amount of tax payable, requirement of licenses, business control, personal potential liability and several paper work. The structure of business for the company is the one which it opts to be while formulation. According to definition, a company is considered as an artificial person with separate legal entity, created by law having perpetual succession and common seal, hence its scope is completely different from partnership or sole-trade business. This implies that a company acts as a person, which can take debt in its own name or sue a person. In general the liability for companies is limited; however the same varies on the basis of business structure. In case the company has limited liability, the liability of the shareholders is limited. The business structure of a company is favourable compared to other forms of business, apart from the establishment cost and administrative expenditures (Australian corporations legislation, 2010). Companies are again classified under two categories, private company and public company. The directors are appointed individuals who are responsible day-to-day working of the business and are responsible for several obligations. While appointing an individual to the position of director, the shareholders and the others having power of the same must ensure that they are not convicted of any offence, not a bankrupt, mentally sound and not a minor. The name of the business must be selected very carefully as customers will be identifying it and business is generated. The name will not only differentiate the business with its competitors but also act as its brand name. While selecting a name for the business it must be ensured that it complies with ABN or Australian Business Number. The company’s name needs to be registered. But in case the first or the last name of the company is similar to that of its owner, registration can be avoided. The registration cost of company amounts to $34 for a year and $80 for a period of three years. Prior to application, the name of the business for availability is verified. It is under the Business Name Registration Act, 2011 that an entity’s business name is made available to it. In case, the application for registration is rejected, the company may ask for revision of the name of the business. Once the entity decides to register the company, it has to consider certain terms which are very essential governing the company. It needs to be decided what among the following will be governing the company; constitution, replaceable rules or a mixture of two of these. 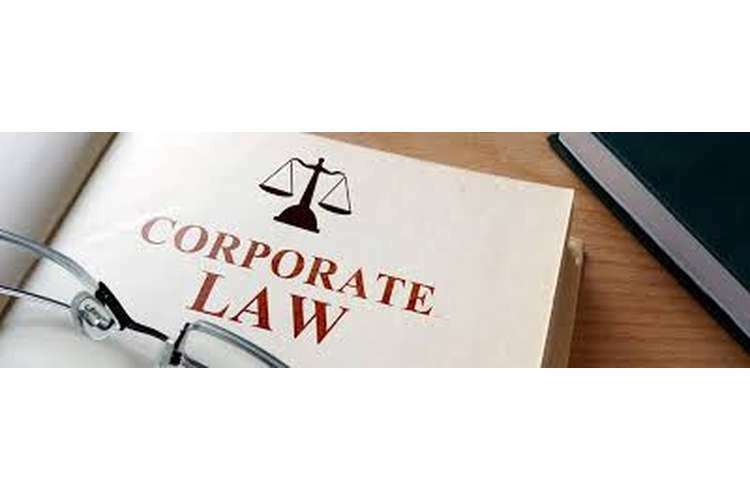 It is the Corporations Act under which the replaceable rules are provided as well the basic concept of conducting a business (Australian corporations & securities legislation 2004, 2004). The replaceable rules are applied under circumstances wherein the constitution is not created or implemented by the business owners. This must be included by the company in its records while drafting a constitution. In case of a proprietary company, the structure of share governing the company is clear, where there are at-most fifty non-employee shareholders, who are either limited by shares (i.e. limited liability shareholders) or an unlimited company with a share capital. 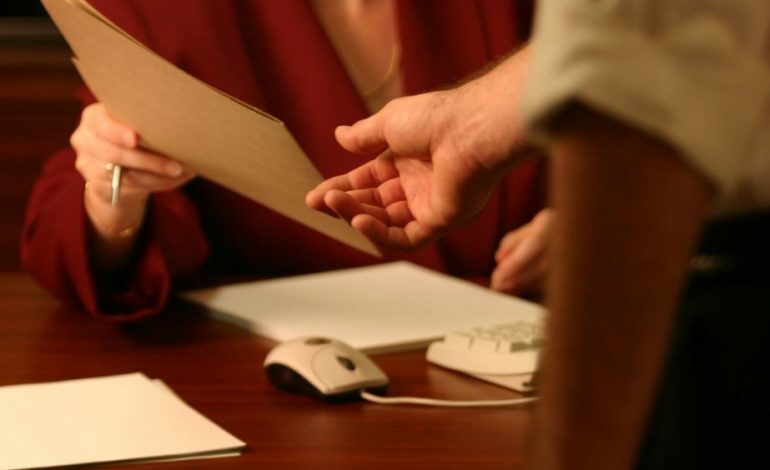 While selecting the registered office it is essential to present the registered office’s address and the principal place where the business is conducting its operations, each of the shareholders residential address, each of the member’s address in the proprietary company, address of the company for contact. It is not necessary that the registered address of the business is similar to that of the business’s principal place as well as must not be the post office box. When a business decides to change their address, it is essential to be informed within 28 days. While registering a company one needs to contact the private service providers. Fee for application is managed by them. For creation of a request for registration a form needs to be filled by the company and signed under the ASIC (Australian Securities and Investment Commission). The companies in Australia are required to fill and submit Form 201-Application for Registration with the authorities of ASIC. This also includes fee. The companies after submission of application are provided with a CAN. On getting registered the company is provided with a certificate of registration. It is essential that Director, Member and Secretary submits a written consent and ensured that atleast one Director or Secretary is an ordinary resident of Australia. In case the office does not fall under the company’s scope, then the company has to request for permission in writing for using the address. After registration the company is considered as an association with perpetual succession that can continue membership for an indefinite period. After incorporation the company will have a common seal. It is the members and the trustees to whom ownership of personal and the real property gets transferred to. Registration of these changes is highly crucial. The association contract continues to be the same. The incorporated association will not be liable for the debts; however the same is likely to be liable towards the debt incurred on behalf of the incorporation (Horspool & Gorman, 2001). An approval from the commission is essential while payment is to be made to the member by the association. If approval is not provided, then payment is not made. However, there is an exception to this policy, which includes reasonable payment against the work done. The annual review date of the company, which is also termed as the anniversary date of its registration is the one when the company finally receives registration or becomes a registered company. An annual statement as well as a statement of invoice is issued by ASIC after an annual review. The fees incurred for scheme registration is known as annual review fees. In the case of CSR Limited & Anor, it is observed that Mrs. Olsen and V Young contracted mesothelioma from blue asbestos exposure. The exposure comprised of tailings which put into use for airport, roads as well as golf course. Mrs. Olsen had the responsibility of duty of care as per the Tribunal for Dust Diseases. The asbestos seemed to have created an impact upon the background of the community. CSR and ABA were held liable by the court and damages were awarded to Mrs. Olsen. The mine employees were responsible of duty of care, which is the reason behind such action as well as the Wittenoom residents. The reason behind declaring breach of duty was that the mother of the plaintiff was not warned about the risk of injury. As per the judgement it was declared that due to a negligent activity of the subsidiary company, the parent company was held liable thereby piercing the corporate veil between CSR and ABA (Aras & Crowther, 2009). While an appeal was made, it was declared that the damage could have been foreseen. The cost of damages lowered by 20%, on recalculation of reassessment of damages. Hence, the occurrence of negligence have occurred which resulted in damages to the son of the plaintiff. For determining whether the subsidiary can be considered as the parent company’s implied agent, it was necessary to determine whether the parent company owned the subsidiary. The operating business must be on the parent company’s behalf and the parent company did not appoint any staff or participate on requirement of capital. The decision for this was made under the criteria how the profit is treated by the parent company, appointments made under the parent company, how parent company exercises control over the Subsidiary’s functions, how they govern the subsidiary, profits incurred from direction and skill and subsidiary’s effectual function. From the case of Creasey v Breachwood Motors Ltd, it is observed how Mr. Creasey was discharged from th position of general manager from Breachwood Welwyn Ltd. However, Mr. Creasey claimed that the dismissal was not right. But long before claiming, the company’s operations were stopped and whole of the assets got transferred to Breachwood Motors Ltd. thereby no stoppage in the business operations. All the credits were settled and there was nothing left to be claimed later. Mr Creasey filed a case against the company, Breachwood Motors Ltd. In return Breachwood Motors Ltd. appealed against the same. The company’s corporate veil was lifted for giving Mr. Cresasey with such a claim for dismissal which was not considered right. Since, the directors were same for both the companies; they have bluntly mistreated the company’s legal identity by transferring the assets between themselves (Ferran, 2016). The decision for this case was overruled by the Court of Appeal since the intention behind the facade is equally important as that of the directors’ breach of duty. The facts those became came into picture was that whether Terry was an employee at CMS, which is CM’s subsidiary. The mining activities of CMS included, zinc, lead and copper. CM leased out the equipment as per arrangement from New Vision Bank Ltd. and later subleases the same against a leasing charge to its subsidiary company, CMS. But the dismal occurred when the nearby river became contaminated because of the mine of CMS, which considerably harmed the residents including Terry, a former employee causing deadly disease like cancer. At present the company has been sold out to Lazarus Pty Ltd. after getting wound up. Thus, it can be concluded from the cases discussed above that, CM is the parent company owning CMS, which is the subsidiary. This indicates that being a parent company, it is the responsibility of CM to closely monitor the activities and performance of CMS. The parent company owes duty towards the employees as well as the residents and avoids them from consumption of the contaminated water. Those employees or residents who were attacked by cancer have all the right to claim for damages against the parent company. As the directors have failed to abide by their legal responsibility, it is obvious that corporate veil will be raised against them. Whatever, happened was not something out of the world and CM was well aware of the occurrence of such an incident in the future, hence this is an act of tort of negligence committed by CM on the behalf of its subsidiary (Ferran, 2016). Being the parent company, CM is responsible for any mishap caused by their subsidiary. But in this case, Terry cannot claim compensation form the parent company, reason being the directors of both the companies CMS and Lazarus Pty Ltd were equal and the company was formed for covering the subsidiary’s legal identity and a way to flee liability through transfer of funds within the companies themselves. This have led to raising of the corporate veil and breach on part of the duties of the directors. Terry cannot claim any compensation from CMS on the grounds that the company was a subsidiary of CM. Hence, the way out available to Terry and other victims is making claims from CM, the parent company of CMS against breach of duty of care by the directors and the negligence caused by them. Aras, G. & Crowther, D. (2009). Global perspectives on corporate governance and CSR (1st ed.). Farnham: Gower. Australian corporations & securities legislation 2004. (2004) (1st ed.). North Ryde, N.S.W. Australian corporations legislation. (2010) (1st ed.). Chatswood, N.S.W. Horspool, N. & Gorman, P. (2001). The ASIC handbook (1st ed.). Upper Saddle River, NJ: Prentice Hall.